How is the Stanton House Inn related to a brilliant man murdered in Madison Square Garden by the jealous husband of a previous lover? You can read even more Greenwich history on our blog. Greenwich and neighboring Stamford were founded in 1640. The area in which the Stanton House Inn is located was not settled until 1672. What is now downtown Greenwich was originally called Horseneck due to the pastureland used by settlers to graze their horses. The area remained rural for much of its existence. The Stanton House Inn was built on land granted to the Reverend Richard Sackett while he was Pastor of the Second Congregational Church in 1717. The land was kept in the family for 150 years, and in 1840, Mr. John Sackett built the original structure on its present location. We named the Sackett Suite in honor of the Sackett family. With the construction of the railroad, Greenwich changed its name from Horseneck to avoid sounding too provincial. It became a getaway for wealthy families from New York City, such as the Rockefellers. With this video by the Greenwich Historical Society to learn about some of the major wealthy families that made their fortunes and build summer homes in Greenwich in the 1890s. Mary A. (Sackette) Seaman and her husband Charles H. Seaman lived in what would become the Stanton House Inn until 1899. The house was then purchased by Edward & Susie A. Brush. At that time, the house was enlarged to its present size and appearance. 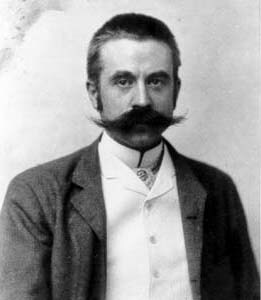 The noted architect Stanford White, designer of the famous Washington Square Arch in New York City, was chosen to supervise the work. All felt the fine touch of Edward Brush. Shortly after the completion of the Seaman-Brush house (the official name of the Stanton House Inn), Stanford White was murdered by a very wealthy yet disturbed man in Madison Square Garden. Harry Kendall Thaw shot Stanford White at point-blank range for an affair with his then wife, Evelyn Nesbit. At the time of his death, the affair, which began when Nesbit was 16 years old and White was 47, had long-since ended. In 1920, after the death of Edward Brush, the property was purchased by Theodore L. Pomeroy. Mrs. Pomeroy was active both in politics and the church. Many prominent statesmen and their wives attended the social functions held by Mr. & Mrs. Pomeroy. In 1937, the house was purchased by Mrs. Nora Stanton Barney, who operated the house as an inn called Stanton House. She named the building in honor of her grandmother, Elizabeth Cady Stanton, the renowned American feminist and social reformer. For the next quarter century, the Stanton House was a popular gathering spot for travelers and residents alike. Sadly, from 1962 to 1983 the property declined and it seemed that the Stanton House would not regain any of its original splendor. But in 1985, Mr. Tog Pearson and his wife, Doreen, took an interest in the historic Connecticut inn and began to restore the rooms and facilities to their former glory. It has since become a well-needed addition to the community in the form of a Bed & Breakfast Inn. 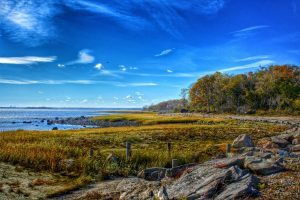 Greenwich’s prime location on beautiful Long Island Sound makes it the Gateway to New England. The perfect first stop for touring Still Revolutionary Connecticut, Greenwich also offers a convenient alternative for a visit to New York City. NYC to Greenwich, CT, is just thirty-five miles away and accessible by train or car. But there are also an abundance of great things to do in Greenwich itself, as well as the surrounding area. Be sure to download our free Greenwich Activities checklist for a list of all our favorite activities near our historic Connecticut bed and breakfast. The Pearson family set a goal for the Stanton House Inn over 30 years ago to provide a comfortable and relaxed home-away-from-home environment for their guests in a classic, historic and environmentally-friendly setting. The Stanton House Inn welcomes you. View all our beautiful Greenwich accommodations and book your stay at our romantic bed and breakfast in Connecticut.